BFP’s Robert remembers Japan and finds some bloggers on the ground. Many of our regular readers know that there was a time in my life when I visited Japan weekly. That was years ago but Tokyo’s Narita airport is still my second favourite airport in the world. I’ve staged through Narita more than a hundred times and every final approach was a challenge to keep my concentration centered on the task at hand because, for all the faults (and there is one fault in particular that enrages me), I love Japan and the Japanese. I love the way they revere their parents and ancestors. I love their funeral services, their movies, their music. I love that there is no looting in the aftermath of the earthquakes and tsunami. Anyone who’s visited Japan for more than a week won’t be at all surprised. 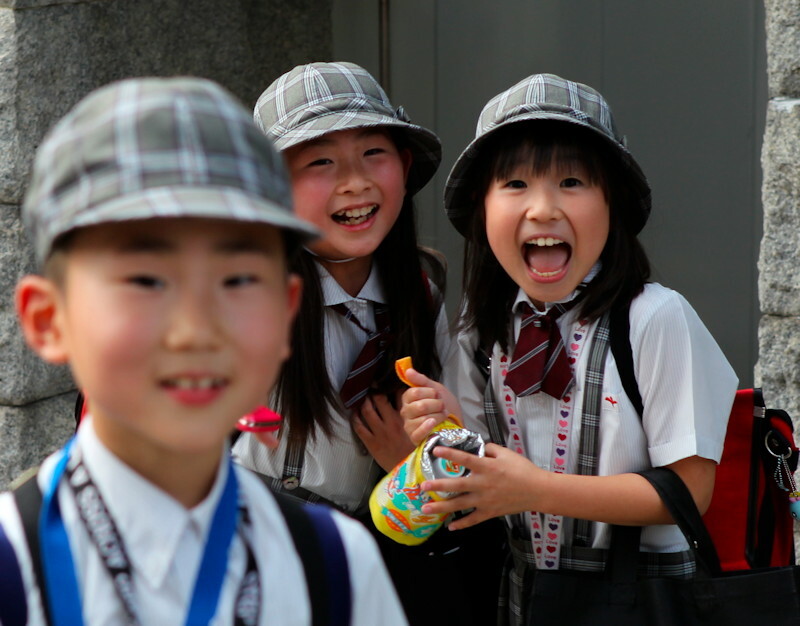 Last December we published a photo of some Japanese school children trying out their English on a passing tourist. I wonder where they are now, if they are alive, if they are in need. Nothing I can do for them, but I’m on the internet all the time these past few days and I’ve met some new friends. Sometimes the big picture is too large, too impersonal. Sometimes we lose perspective if we only focus on the big picture. Sometimes the truth is not a large truth, but becomes apparent only in consideration as the sum of many smaller truths. “And, for a city that can certainly be very frosty, it’s noticeably more friendly. Nods, smiles and the odd konichi-wa are suddenly commonplace, with a definite feeling of, ‘we are all in this together’, now prominent. A MASS exodus from Tokyo is under way as those left behind pray for the wind to save them from a new radiation nightmare. The airport of Japan’s quake-hit capital was besieged as levels of the invisible killer soared to ten times the normal level there. And that was before a FOURTH explosion and a fire at a stricken nuclear plant sparked fresh terror – that of a poison cloud of nuclear rain. The leaking station was officially abandoned this morning after radiation levels around the plant “increased rapidly”. Other international media sources are reporting similar stories of the masses fleeing from Tokyo. They based on internet hearsay or interviews with foreign residents of Japan.